This is documentary is distributed by California Newsreel. The documentary was shot, edited and produced by Jonathan Gayles. Those interested in popular culture, comic books, critical media studies, African-American studies, media history, gender and masculinity, Black masculinity, and blaxploitation. Jonathan Gayles, Ph.D. is Associate Professor of African-American Studies at Georgia State University in Atlanta, Georgia. He is a graduate of Morehouse College (B.A., Psychology), Winthrop University (M.S., School Psychology) and the University of South Florida (Ph.D., applied anthropology). 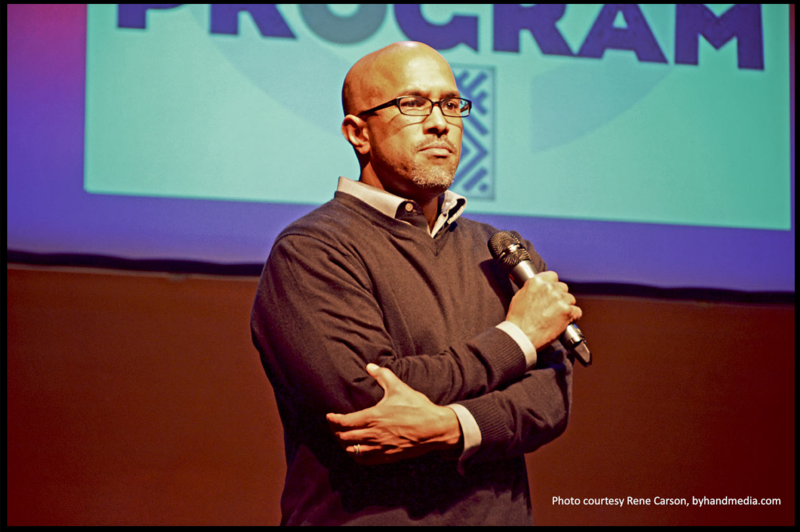 His primary areas of interest include the anthropology of education, educational policy, Black masculinity, race and ethnicity as well as critical media studies. An avid comic book reader as an adolescent, he was often frustrated by the general absence of African-American superheroes. He identified with the few African-American superheroes that he did discover primarily because they too were African-American men. As an adult and with a growing interest in the critical engagement of Black masculinity, his retrospective consideration of these characters has greatly diminished his fondness for the characters. With adult eyes, he was shocked by much of what he read in the comic books that he so loved as a child. In preparing a paper on the subject for an academic conference, he encountered a growing body of scholarship on race and representation in comic books. Furthermore, he was introduced to communities of scholars and artists that critique representations of African-Americans in comic books and create their own representations of African-Americans in comic books. After deciding to produce a documentary, he bought a Canon XHA1S, attended an intensive summer documentary film institute offered by Duke University’s Center for Documentary Studies and began shooting during the fall of 2009. 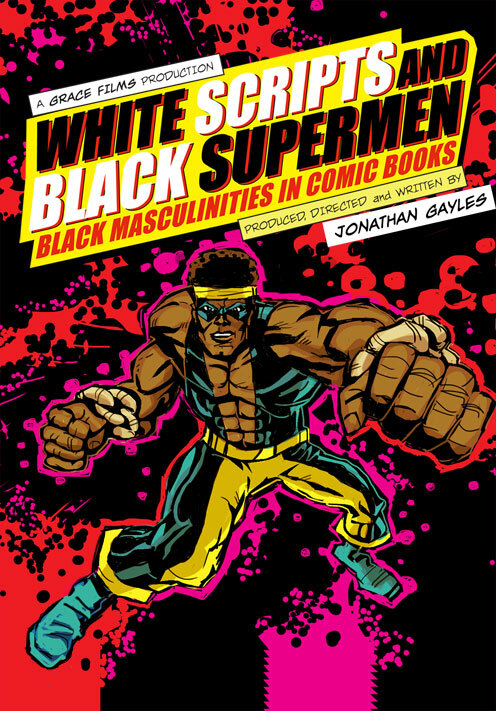 White Scripts and Black Supermen is a critically-acclaimed documentary film that is the first to examine the representation of Black masculinity in comic books. It is the recipient of the 2012 Peter Rollins Best Documentary Film Award from the Popular Culture Association/American Culture Association in addition to a number of other awards. It has screened nationally and internationally at hundreds of film festivals, academic conferences and a variety of invited screenings. As a young boy, the filmmaker loved comic books and the escape that they provided. However, as a young BLACK boy, his ability to truly escape was limited by the fact that many of the heroes were White. This documentary critically examines the earliest representations (1965-1977) of Black masculinity in comic books and the troubling influence of race on these representations. Within the last several years, many scholars have critically engaged comic books as a legitimate source of scholarly interest and critique. Indeed, comic books represent a genre within popular culture that is older than the television. Thinking critically about the manner in which Black men were first portrayed in hero serials provides insight into broader societal conceptions of the Black man as character, archetype and symbol. Through interviews with prominent artists, scholars and cultural critics along with images from the comic books themselves, it becomes clear that the Black superheroes that did eventually emerge are generally constrained by stereotypical understandings of Black people and Black men in particular. From the humorous, to the offensive, to the tragic, early Black superheroes never strayed too far from common stereotypes about Black men. The documentary addresses more than forty years of representation of Black men in comic books. The characters included in the documentary are as follows: Lothar (First appearance in 1934), Whitewash Jones (First appearance in 1941), Waku, Prince of the Bantu (First appearance in 1954), Gabriel Jones (First appearance in 1963), The Black Panther (First appearance in 1966), The Falcon (First appearance in 1969), John Stewart (First appearance in 1971), Luke Cage (First appearance in 1972), Tyroc (First appearance in 1976) and Black Lightning (First appearance in 1977).